Cyber Insurance Can Save Your Business - Lanes Insurance Inc. Recently, the University of Calgary was targeted by a serious cyberattack. Hackers locked down their systems and threatened to seize sensitive personal data and release it to the public unless a ransom was paid. In a sobering reminder of what can happen to virtually any enterprise or organization regardless of what you do to protect yourself, university officials eventually authorized a $20,000 payment to the hackers in exchange for the security of the data. University officials went on record saying that the cyber insurance they recently purchased proved to be very helpful during the whole situation. Cyber insurance is a type of coverage that protects business owners and self-employed individuals from a unique and ever-growing set of online threats. Also known as CPM, an acronym for the three essential levels of protection it offers, cyber insurance is specifically designed to protect organizations and businesses from financial losses resulting from online criminal activity. “CPM” stands for “cyber, privacy, media,” reflecting the three spheres in which these policies work to protect you. Cyber insurance coverage can also be configured to protect you from infringement claims related to intellectual property, as well as provide financial safeguards for sensitive data and information stored in computing clouds. You can also opt in for protections that cover the cost of investigations, errors and omissions, breaches of regulatory and compliance policies, court costs, and the costs associated with crisis communications. It goes without saying that businesses of any size that generate and store significant amounts of sensitive digital information should be carrying cyber insurance. This is particularly true of organizations and enterprises that work primarily in fields related to digital media. However, even small businesses and self-employed individuals running sole proprietorships should consider cyber insurance if their business activities are primarily digital. This is because a single attack could destabilize your entire base of operations, potentially endangering your livelihood. What Are Hackers After, Anyway? 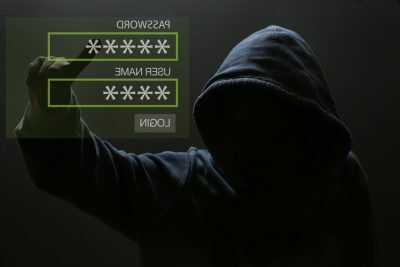 Knowing what hackers are after when they launch cyber attacks helps you better understand their mindset, which in turn improves your ability to protect yourself. The vast majority of cyber criminals are after personal information — yours, your employees’, or your clients or customers. Armed with your details, cyber criminals can steal funds and assets from your company, or steal your identity so they can pose as you while committing fraud or theft. Online extortion is becoming an increasingly common strategy, as the recent situation at the University of Calgary shows. In this model of criminal activity, hackers breach your system’s protections, shut down your systems, and then demand payment in exchange for not releasing the information to competitors or the public. A number of high-profile cases have occurred in recent years, with some online extortionists succeeding in securing big payouts. Experts are projecting that the annual worldwide financial toll of cybercrime will reach US$2 trillion by 2019. If you’re doing business in the digital age, you should consider cyber insurance to be one of the fundamental and essential forms of protection on the market. The caring, knowledgeable insurance brokers at Lane’s Insurance are here to help protect you and your business or organization from cyber criminals. If you have questions about the type of cyber insurance that would best suit you, or if you’d like to get a quote, please contact our Calgary office to learn more.